There’s no doubt about it: women are a force to be reckoned with in the outdoor world. The past year was filled with headline-grabbing accomplishments from women like climbing phenom, Margo Hayes, and ultrarunner Clare Gallagher, who graced the cover of our September 2017 issue for her many achievements as a conservationist. In June, EO contributor Morgan Tilton wrote a beautiful essay about SUPing the Escalante River — a story that landed her on the cover of the issue and earned her an award from the North American Travel Journalists Association. Women have been commanding the pages of our magazine all year, and to celebrate on this International Women’s Day, we’re taking a look back at some of the many stories in the magazine over the past year that feature some of the most adventurous and badass women in the outdoor industry. In one of our most-read stories of the year, Georgie Abel takes a look at how women of all kinds are hand-crafting their own spaces and standards within the male-dominated climbing world. In September, we rounded up and shared the stories of some of the most passionate, young Rocky Mountain activists working to make the world a better place. Of the seven activists featured, three were talented young women: Clare Gallagher (ultrarunner, conservationist), Hilda Nucete (Conservation Colorado’s Latino Program Director) and Tiffany Hensley (professional climber working on a passion project called Climbing Borders). In 2017, EO contributor, Morgan Tilton, was a part of the first SUP descent of the last charted river in the U.S. Her journey brought her face-to-face with history, family, politics and the realities of the soaring canyon walls, and earned her recognition from the North American Travel Journalists Association. In 2017, women in the outdoor world showed that they are a force to be reckoned with. In Barriers, Broken, we take a look at some of the most badass Colorado women in the industry and showcase the awesome women’s-specific gear they’re making and the accomplishments they’re racking up to help pave the way for future generations of badass women. 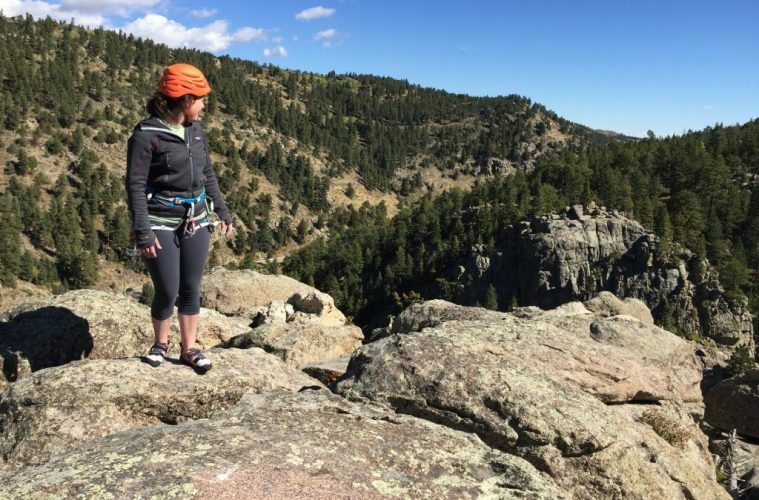 Our recent Best of the Rockies poll showcased just how many exceptional outdoorsy ladies call the Rocky Mountain region home. Photographer Claudia Camila Lopez took home top honors in the Best Photographer category, climber Lynn Hill was voted Best Outdoor Legend, Susan Wood was voted best Mountain Town Influencer, Mikaela Shiffrin was recognized as the Best Winter Athlete in the Rocky Mountains and the Dirty Girl Mud Run — a celebration of the power women — was voted best Warrior Mud Race. Our local hero in the January 2018 issue is none other than Tracee Metcalfe — an adventurous doctor bringing her ER skills to some of the most challenging and intimidating big peaks in the world. In our current issue, Sonya Looney — a professional endurance mountain bike champ and EO contributor — chats with women athletes in extreme sports to determine how and why they set out to face and overcome fear. The Editor’s Letter in our April 2017 issue was a look at how our parent company, Summit Publishing, and specifically this magazine, works hard to provide an equal opportunity workplace for people of all genders, sexual orientations, races, and religions. Here at EO, we have a predominately female staff. Meet our team of badass women here.